Most of the online users don’t know that Google traces every moment of the mobile user where he travels. Google tracks the location of the user using Google map and GPS. 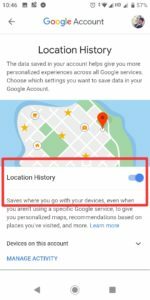 Google saves the entire location history on Android phone and iPhone. So, today I am going to share everything about Google Maps and Location history. 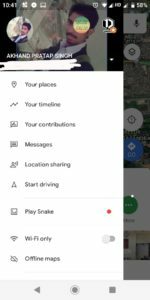 You can check/delete/pause your location history in Google Maps application. Google Maps saves the entire location history of the user as a timeline. 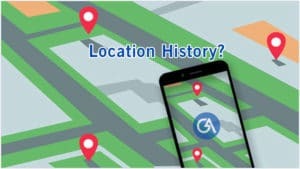 You can check your past location history in your Maps timeline. Even, Google tracks the location of the photos captured on Android or iPhone. Google does this thing using Google Photos application. 1. Open Google Maps App. 2. On the left corner of the dashboard click on 3 horizontal lines. 3. Tap your Timeline section. 4. Click on the Calendar icon to check the history of a particular date. 5. 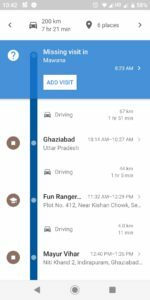 After selecting the desired date, you get your Google maps history on dashboard along with your overall time you spend there. 2. Click the more button (three horizontal lines). 3. Then go to Settings. 5. Find the “Location History is on” option under Location Settings. 6. 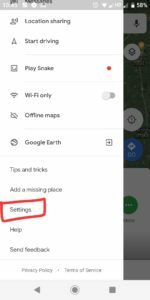 Now disable Location History toggle. 7. If you want to disable particular device then you can disable from “Devices on this Account” and unclick the Device. 1. Open up the Google app on your iOS device. 2. Select Settings > Privacy > Location and then Location History. 3. 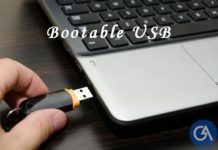 Select ‘Do not store’ to disable. 1. Open the Google Maps app on your smartphone. 2. Open the menu by tapping the horizontal line on the left, and then select “Your timeline”. 4. 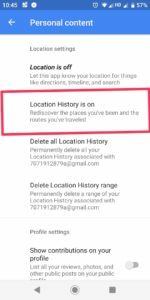 Find the “Location settings” section and select “Delete all Location History” or “Delete Location History range” to remove location data. 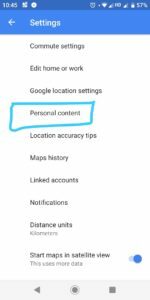 If you want to delete Your location history from your desktop visit Google Maps Timeline and click on delete icon to erase your location history. You can delete your Google Maps location history easily on a desktop. You can do it by simply 1 click. After all, I am sure you got this trick just now and you loved it. So, don’t forget to share it with your friends and check where they traveled recently. If you want to know something else, don’t forget to drop a comment below. Akhand Pratap Singh is a 21 yr old tech geek based on Lucknow and studying in BCA 5th Semester. 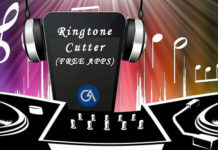 He is writing on various topics like Android hacks, offers & deals, tricks, and social media tips.